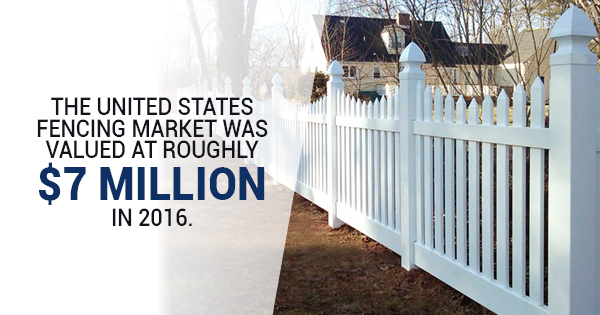 The United States fencing market was valued at roughly $7 million in 2016. Fences have plenty of benefits and can even add value to a home, but not every fencing style is as advantageous as others. Wood fencing, for instance, is one of the best options for property owners to consider having installed on their lawns. Affordable — A wooden fence can provide all the same privacy benefits as other materials but at a much more reasonable price. Metal is far less cost-effective than wood and wood fence installation and maintenance is quick, easy, and cheap. Environmentally friendly — Homeowners across the country are attempting to go “green,” but they struggle in certain aspects. Installing a wood fence is a great option for environmentally friendly families since wood is easily disposable and will not harm the environment. Long-lasting — Despite the affordability of wood, it’s actually quite durable, as well. As long as you’re taking care of your fence, your wooden material should last as long as four decades. When compared to other fencing materials, wood can resist much more impact and wear and tear, as well. Versatile — Though when most people think of wood, only one image comes into their minds, wood is actually very adaptable. There are all different types of wood that you can use for your fence. Additionally, wood fencing can be painted any color or stained in any shade you want. Wooden fences can even be adjusted for different heights, as well. Visually appealing — Perhaps the main benefit of having a nice wooden fence around your property, is simply because it looks great. Having a nice, natural looking fence surrounding your home will help your entire property look better. You’ll enjoy seeing your fence every morning when you leave the house and every evening when you get home. If you want to learn more about the benefits of fencing for your home and work with professional fence installation services, give Durham Fence Company a call right away.